Even under construction riders of all ages have been out enjoying the protected bike lane on Potomac Street. 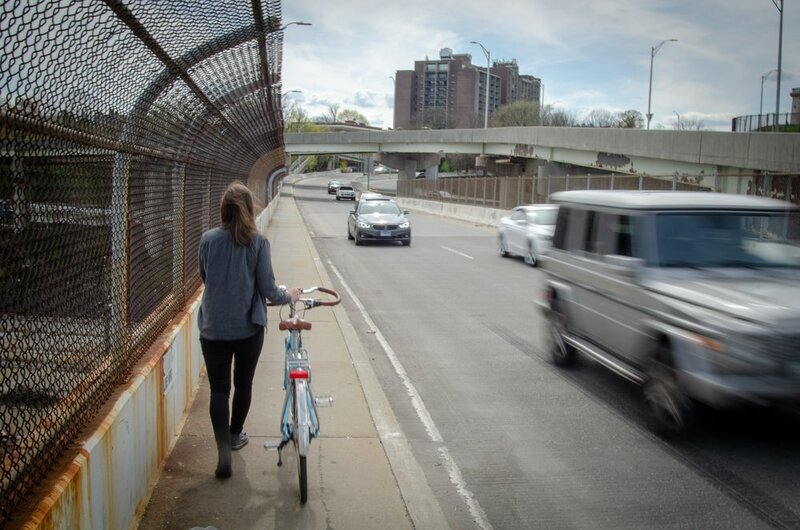 We have good news - the Potomac Street protected bike lane will not be removed! We will not be going to court tomorrow. Instead we have entered into a settlement agreement and will be sitting down this week with the City to assist in finalizing new plans for Potomac Street. We are confident this modified plan will preserve a high quality all ages protected two-way bike facility on Potomac Street, as well as safeguard public safety and accommodate emergency vehicles. Once the plans have been finalized, they will be shared with the public for a two week comment period. During that time the Potomac Street bike lane will remain intact as is currently constructed. Once the public comment period has ended, the City will take comments into consideration and begin construction. We are pleased to have reached this agreement with the City and are committed to being partners as we work to make Baltimore a safe place to ride a bike. Your support and advocacy during these past few weeks has been tremendous. Each one of you that donated, called, and wrote letters played a part in bringing us to this resolution. As a thank you, please join us at the courthouse tomorrow 6/28/2017 between 9-9:30 am. We will be hanging out at the Battle Monument serving up donuts and coffee as a thank you! Join us as we continue to #FightForBikes!